Galaxy S10 and Galaxy S10 Plus are the two worsts kept secrets of the smartphone industry. 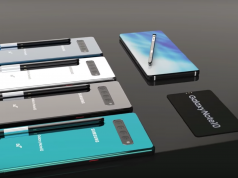 If there is something that everyone can agree on when it comes to Samsung, then it has to be the fact that Samsung is never going to be able to keep an announced smartphone away from the media’s eyes. Samsung is the world’s biggest smartphone company and this makes it a top priority for leaksters. Talking about leaskters, the reliable Evan Blass has posted today a new press render leak of Galaxy S10 Plus which shows us that the flagship smartphone is going to be available in three different colors. The three color models of Galaxy S10 Plus are black, pearlescent white and green. 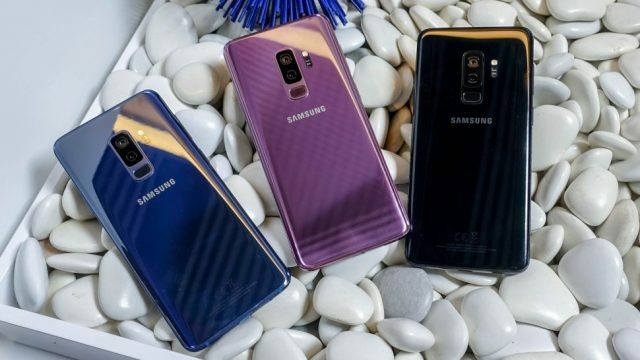 The three color models of Galaxy S10 Plus look amazing and their glossy style is definitely going to make them stand out when compared to their competition. Samsung fans who are interested in buying the new Galaxy S10 Plus should be pleased to know that they don’t have to wait that long until the smartphone is officially released. Galaxy S10 and its bigger Galaxy S10 Plus variant are scheduled to release on February 20th during the Mobile World Congress event where Samsung is going to host a giant panel. Even though Samsung has been doing its best to keep all information about Galaxy S10 and Galaxy S10 Plus hidden, we already know that the two smartphones are going to be powered by Qualcomm’s Snapdragon 855 processor or Samsung’s own Exynos 9820 processor. The Snapdragon 855 version is released in the US and the Exynos 9820 version in the rest of the world. In addition, the most expensive version of Galaxy S10 Plus will ship with 1TB of internal storage space and a whopping 12GB of RAM. Next articleApex Legends Reaches 25 Million Players in One Week, Should Fortnite Be Afraid?